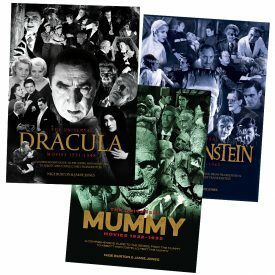 Three beautiful guides to Universal’s classic horror franchises, with reduced cover price and shipping. Our guides to Universal’s classic franchises are a designed and produced to the highest standard, each telling the story of a different movie series from Universal’s golden age. 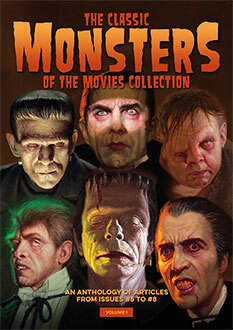 With 68 full colour pages bursting with imagery and information, each title is perfect bound in the style of Classic Monsters of the Movies. 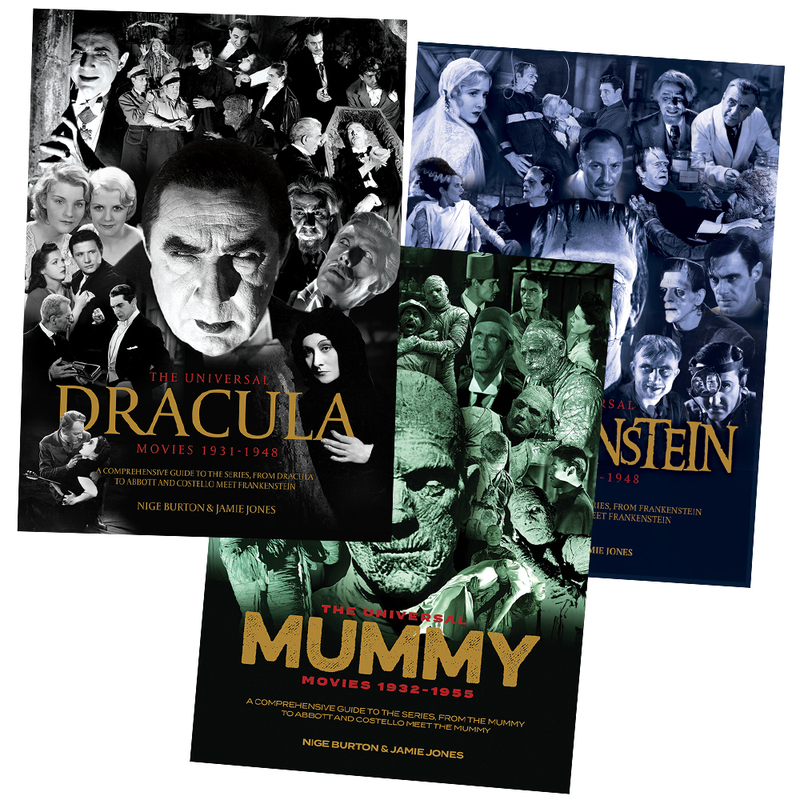 The Universal Franchise Guide Bundle presents our guides to the Dracula, Frankenstein and Mummy series with reduced cover price and combined shipping, taking you on a beautifully designed journey through some of classic horror’s movie memorable movies. When a movie appeared in more than one franchise, we’ve taken pains to provide different information and, where possible, different stills and posters. 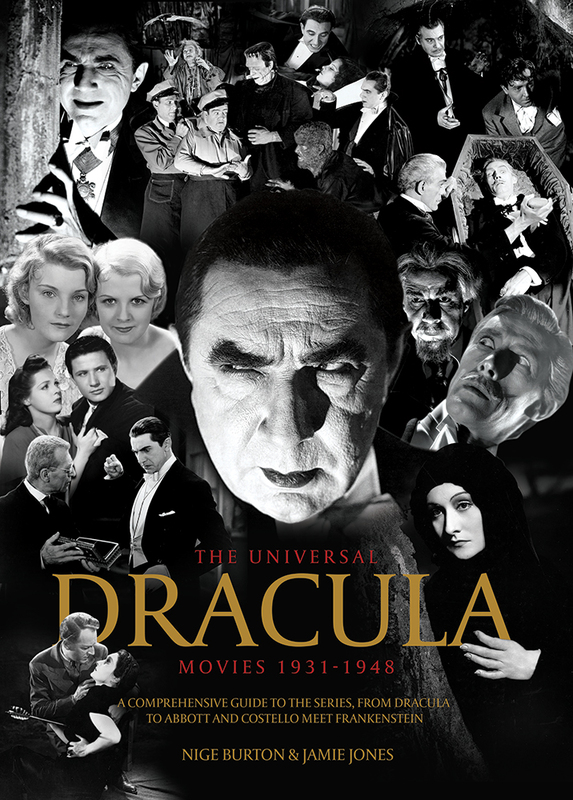 The Universal Dracula Movies 1931-1948: This lavish full colour publication exploring the development of the franchise through each successive instalment. Packed with information on the movies themselves, as well as the people who brought them to the screen, this 68-page Dracula movie franchise guide is rich in rare stills, posters and lobby cards. The guide covers the entire series, with a chapter for each movie: Dracula (1931); Drácula (1931, Spanish version); Dracula’s Daughter (1936); Son of Dracula (1943), House of Frankenstein (1944), House of Dracula (1945) and Abbott and Costello Meet Frankenstein (1948). 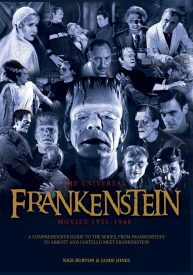 The Universal Frankenstein Movies 1931-1948: From the groundbreaking first film, 1931’s Frankenstein, The Universal Frankenstein Movies 1931-1948 celebrates this tour de force of monster movie franchises. We look in detail at each film in turn, chronicling the significance of each entry: Frankenstein (1931), Bride of Frankenstein (1935), Son of Frankenstein (1939), The Ghost of Frankenstein (1942), Frankenstein Meets the Wolf Man (1943), House of Frankenstein (1944), House of Dracula (1945) and Abbott and Costello Meet Frankenstein (1948). 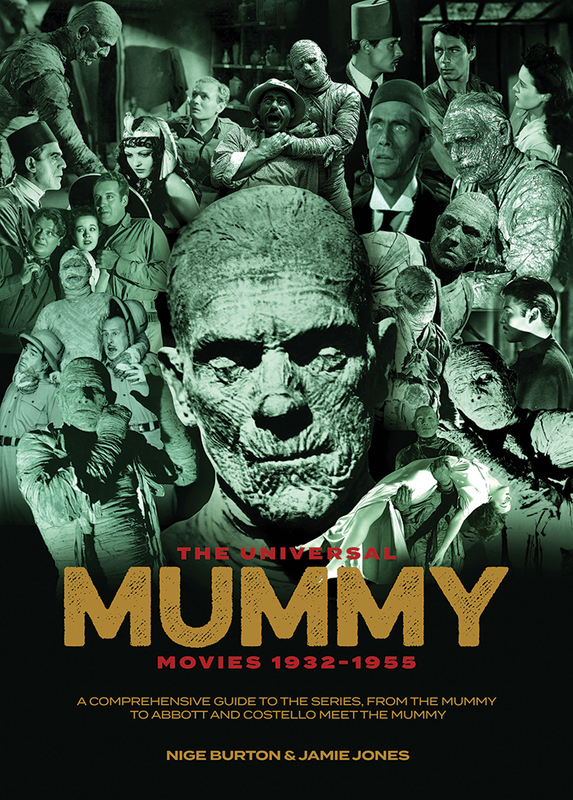 The Universal Mummy Movies 1932-1955: This luxury franchise guide begins with a chapter devoted to The Mummy (1932) and covers each instalment in the series in turn, with many rare stills, posters, behind the scenes information, facts and trivia. 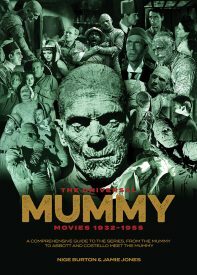 No stone is left unturned in exploring the whole Mummy series, including The Mummy’s Hand (1940), The Mummy’s Tomb (1942), The Mummy’s Ghost (1944), The Mummy’s Curse (1944) and Abbott and Costello Meet the Mummy (1955). Painstakingly researched, and lovingly written by authors Nige Burton and Jamie Jones, our Universal franchise guides introduce the many people behind each series, from cast and crew to studio executives and the creative brains at the beating heart of each story.